Kennesaw, GA (January 5, 2018) – Yamaha Golf-Car Company has announced that it has been named the Official Golf Car Partner of the National Golf Course Owners Association (NGCOA), according to company president, Tom McDonald. 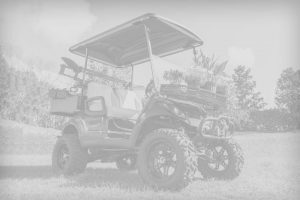 From its inception the partnership has been crafted to benefit NGCOA members by bringing to bear Yamaha’s distinctive pedigree for technical innovation, while also offering incentives on Yamaha golf car and utility vehicle purchases/leases through the NGCOA’s Smart Buy Purchasing Program. 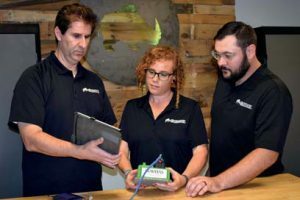 NGCOA members will appreciate Yamaha’s technical advancements, including the innovative YamaTrack GPS fleet management utility. Yamaha will be recognized as Presenting Sponsor of both the NGCOA Golf Business Conference and the Golf Business TechCon. Yamaha will be Presenting Sponsor of NGCOA’s Multi-Course Owners (MCO) Retreat and the Title Sponsor of the Yamaha Golf Outing. Yamaha will have a strategic advertising position within a variety of NGCOA communication platforms, including Golf Business Magazine; Circuit, the association’s monthly digital member newsletter; Accelerate e-mail broadcasts; and weekly podcast interviews with industry leaders. Yamaha will also play an active role as a sponsor of the NGCOA’s Online Advocacy Center, and will have a seat on the association’s Technology Advisory Committee. NGCOA members who convert their fleets to Yamaha during the duration of this partnership, will be eligible for a vehicle rebate. Yamaha customers, who are not members of NGCOA, and who renew their fleets during the duration of this partnership, will be gifted a one-year, complimentary membership in NGCOA. Yamaha customers, who are members of NGCOA, and who renew their fleets during the duration of this partnership, will get complimentary admission to the Golf Business Conference or the Golf Business TechCon. Courses, which are not members of NGCOA and which convert their fleet to Yamaha, will receive the complimentary membership and admission to NGCOA conferences. The Yamaha Golf-Car Company manufactures the most highly engineered, highest quality golf cars, utility, and specialty vehicles in the industry in Newnan, Georgia since 1988. The company was the first to develop Electronic Fuel Injection technology in a golf car, producing the best gas mileage and smallest carbon footprint, the first golf car with fully independent four-wheel suspension producing the smoothest ride in the game, as well as the first gas-powered car that is almost as quiet as an electric. Yamaha Golf-Car Company’s sales and marketing headquarters are located in Kennesaw, Ga.